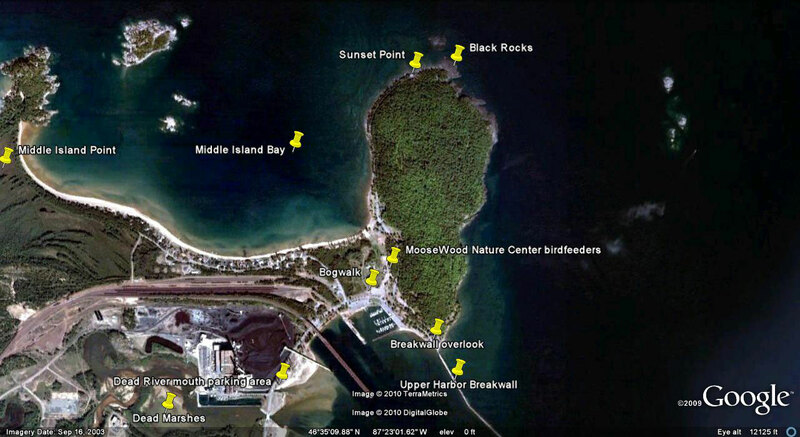 If you want to learn more about birds or the latest bird sightings for the Upper Peninsula of Michigan, we invite you to join our email list. To join the UPBirders.org "Birdnet" email list, send an email message to birdnet-subscribe@upbirders.org. The subject line and message body can be empty. You must send the subscribe message from the email account you wish to subscribe. To unsubscribe, send a message to birdnet-unsubscribe@upbirders.org. You must send the unsubscribe message from the same email account you subscribed. For assistance, please contact the list owner. Please be aware that attachments are not allowed on our email list. For complete instructions and list guidelines, check out our Birdnet Email List Information page. There are no current sightings posted or archived on this website. Please join the Birdnet email list to share your sightings. If you need information about past bird observations, please contact the list owner. The UPBirders photo album at the Grove Street photo-sharing site contains some great bird photos from 2005-2010, but we have not recently been active in posting photos there. We hope that you will continue to share your U.P. bird photos by posting them online yourself and sending a link to the Birdnet email list. Since there are no attachments allowed on the Birdnet email list, many list participants share their photos by posting them to a public photo-sharing site. Then they send a message to the Birdnet with a link to the online photos. (See "How to Join Our Email List" above for more information about the Birdnet.) Anyone can easily create their own free photo gallery on a photo-sharing site. You can find a list of them at the end of the Wikipedia article at this link. 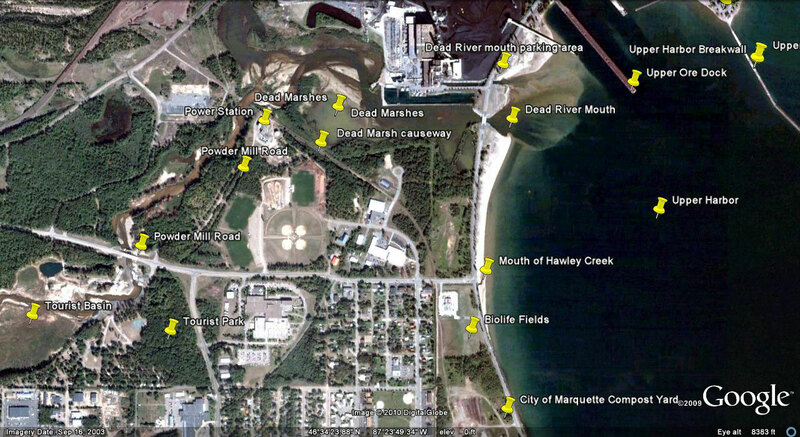 We often get questions about Marquette, Michigan locations mentioned in Birdnet postings. 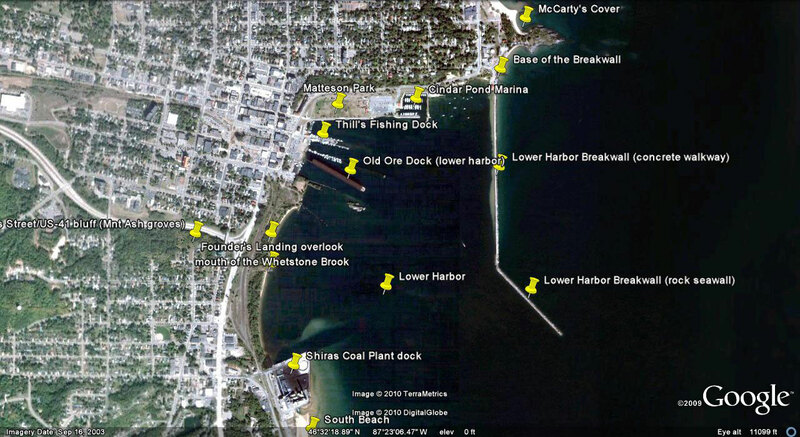 Skye Haas has created four downloadable maps that mark the spots where birders regularly report sightings in Marquette. The maps are 160-250k jpg files. Click on the links below to download. To observe hourly photos the Peregrine Falcon nest box at the WE Energies Presque Isle Power Plant in Marquette click on this link. The Keweenaw Raptor Survey documents spring raptor migration on the Keweenaw Peninsula of Upper Michigan. The survey is a joint venture of the Copper Country Audubon Club and the Laughing Whitefish Audubon Society with additional support from Michigan Audubon Society. See the results of this spring's Brockway Mountain hawk count, and find out more about raptors in the U.P. 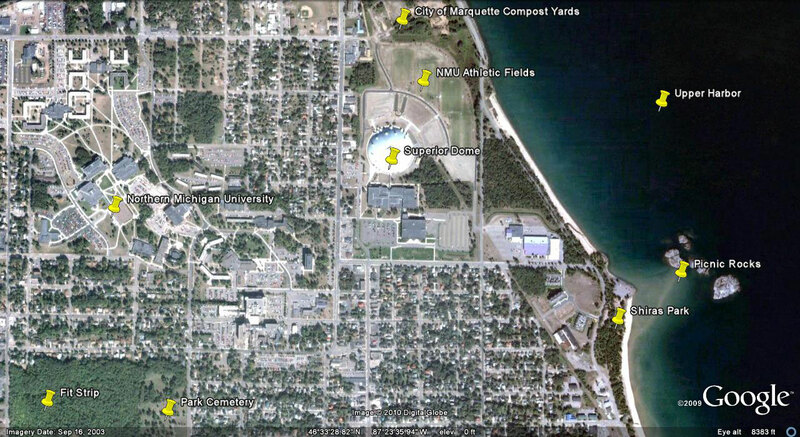 at this link: Keweenaw Raptor Survey.